The tantalizing smoky aroma of food cooking on a hot grill can draw a hungry crowd in a matter of minutes. Who can resist chicken or baby back ribs brushed with a sweet and spicy marinade? Whether you have a charcoal or gas grill in your backyard, an array of delicious grilling recipes awaits you in this cookbook. 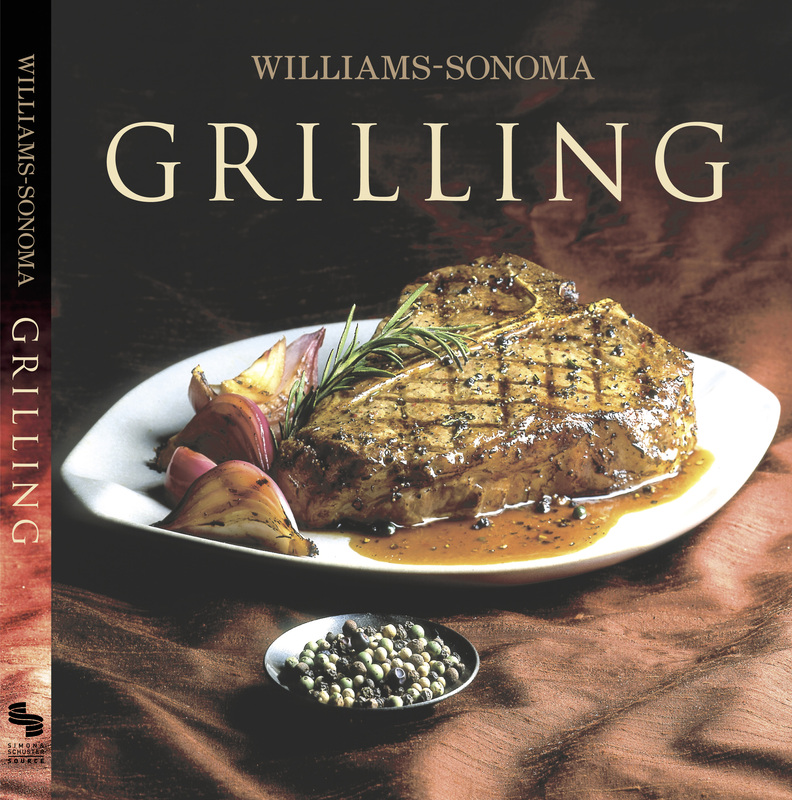 Williams-Sonoma Collection Grilling offers more than 40 recipes, including updated classic fare and exciting new ideas. Tempt guests with an elegant grilled entrée of scallops brushed with spicy wasabi or perhaps savory portobello mushrooms dressed with herb-infused olive oil. If you're craving a juicy steak or seared tuna, a recipe from the meat or seafood chapters is sure to please. A selection of vegetable recipes provides plenty of ideas, both for healthful accompaniments or stand-alone meals. And, for something a little more unusual, try grilling pears for dessert. Full-color photographs make it easy to decide what to grill, and each dish is accompanied by a photographic side note that highlights a key ingredient or technique, making Grilling much more than just a collection of recipes. An informative basics section and glossary fill in all you need to know to make grilling a favorite way of cooking for every occasion. Mastering the art of grilling is one of the most satisfying ways to share a good meal with family and friends. Whether it's a T-bone steak, a salmon fillet, corn on the cob, or even pizza, virtually any food can be adapted to this versatile cooking technique and grilled with success. Williams-Sonoma Collection Grilling offers more than 40 delicious recipes, including both beloved classics and inspiring new ideas. In these pages, you'll find grilling recipes for any occasion—from a casual backyard barbecue to a more elegant dinner with friends. This vividly photographed, full-color recipe collection will become an essential addition to your kitchen bookshelf. Chuck Williams I hope that this cookbook will help make your outdoor cooking and entertaining more enjoyable.